TherapyAppointment is a web-based EMR solution designed for mental health practices. It caters to the needs of small to midsize medical practices and features customizable tool to automate workflow. The health IT solution allows practitioners to create session documentation, records medical treatments, file insurance claims electronically, document client’s protected health information, process credit cards and send /receive Fax to/from Referral Sources. 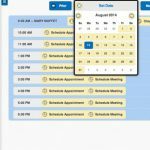 TherapyAppointment can also seamlessly integrate with other specialized modules offered by the company that offers services such as patient scheduling, medical billing, insurance claim management, and mental health management. It also features customizable templates that can adapt to workflows of all sorts and assist clinicians in navigation through only the options they need. This saves practitioners valuable time which they can utilize on offering better healthcare services to their patients. The system is HIPAA-compliant and Meaningful Use certified. It supports Medicare PQRS reporting and offers free ERA posting. Therapy Appointment empowers practices with paperless clinical procedure workflows along with online document storage. It has an autopilot feature that provides real-time information related to patient appointments such as reminders, notes, and copays. 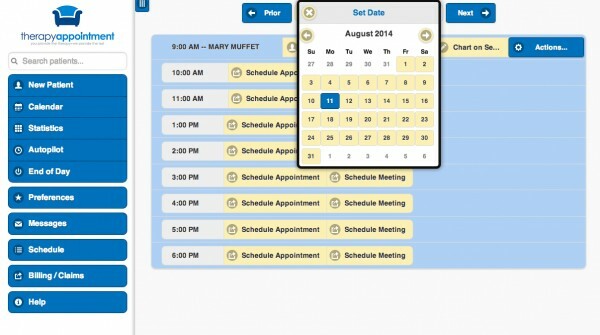 It also sends automated appointment reminders through phone calls, emails or text messages. 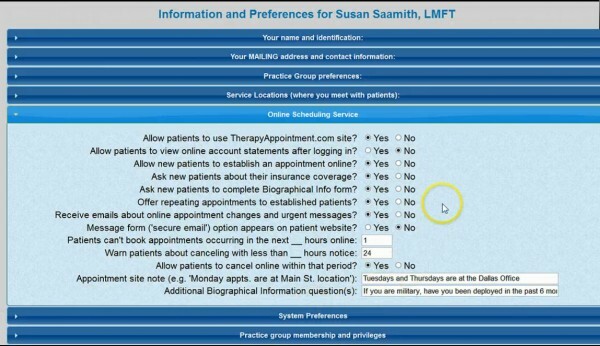 The system even allows clinicians to set up a self-service portal for patients. This portal allows patients to book appointments and easily pays fees online. 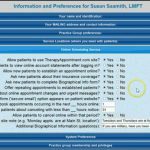 The portal also allows providers and practice staff to upload images and documents, set restrictions to files and folders and even share records with patients. 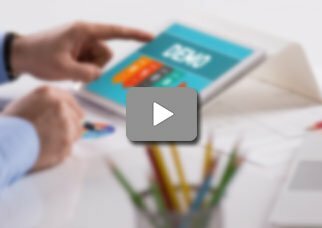 If you are a small to mid-sized mental health practice looking for a cloud-based EMR system that can be customized to your particular workflow, then this might just be the system you need!